In case you have not heard, Google recently said that they are trying to create more areas of the internet where kids can freely roam without being exposed to adult or otherwise inappropriate content. Apart from making a YouTube version for kids, Google has just acquired LaunchPad Toys, a developer best known for its storytelling app Toontastic. Google has also decided to make Toontastic free for everyone, a bold move seeing as how the app used to come with a considerably premium price before. If you have kids, there is a good chance that you have heard of the iPad-only app as it is arguably the most popular of its kind. It allows kids to draw, animate and then share their cartoons with their friends and family. In fact, Launchpad Toys claims that over 14 million cartoons have been created across more than 200 countries. Take a look down below for a small taste of what you can do with the app. Whether Google will have the developer make an app for Android tablets as well is currently unknown. I would not put it past the search giant to keep the app in iPad only but we are just going to have to wait and see what happens. 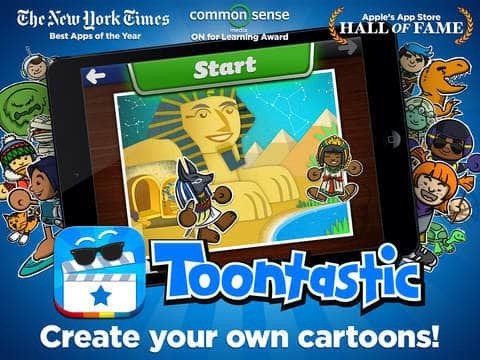 In the meantime, I highly recommend that you go and check out Toontastic on iTunes now that the entry barrier is gone.